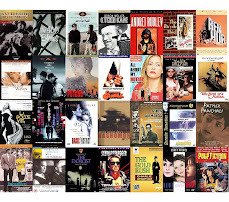 The commercial failure of a film generally restricts a filmmaker’s freedom, but, ironically, it was the opposite for Peckinpah. 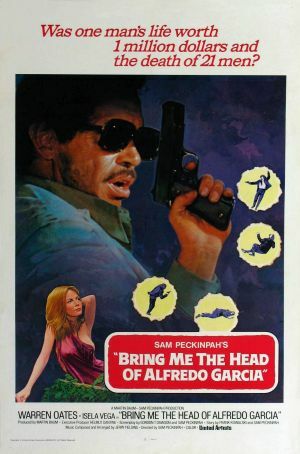 Even though Pat Garrett & Billy the Kid failed at the box-office, he managed to release his next feature Bring Me the Head of Alfredo Garcia just the way he intended; it’s another matter though that this too sunk monetarily. This violent and tragic thriller begins with a wealthy Mexican gang-lord announcing a reward of a million dollars on the head of the titular person – who, as it turns out, has already died – for having had the temerity to make his daughter pregnant. Two American gangsters enlist the aid of Bennie (Warren Oates), a sleazy bar-singer, to collect the prized head. Bennie gets hold of her crooner girlfriend (Isela Vega), as she knows where he’s buried. However, given the rewards at stake, there are other bounty-hunters too on the prowl, and hence things start going awry at every given opportunity. Though initially motivated by the riches that would offer him the chance to start his life afresh, when his fiancée dies, an obsessive quest for vengeance gets added to his agenda – and he exacts that in the bloodiest manner possible. Expectedly, by the time this dark and nerve-racking film comes to an end, hardly anyone worth mentioning is alive, leave alone kicking, to enjoy the money. The director infused black comedy, melancholia, and a harsh and fatalistic portrayal of frontier life along with the associated loneliness and hopelessness, to create a grimy, pessimistic and nihilistic world that was distinctively Peckinpah-ian. Oates was memorable in his portrayal of a man whose fate gets sealed the moment he accepts the self-destructive offer. Puritans scoff at Go, Go Second Time Virgin for being sadistic, exploitative and trashy, while the fans of this cult film drool over it and qualify it as wacky, daring and haunting; either way, both sides would surely agree that this was one crazy film. Shot in only 4 days and made on an ultra-budget by Pinku Eiga icon Kōji Wakamatsu, this was an odd, angry, rebellious, hallucinogenic and nihilistic exploration of youth delinquency, angst, alienation and repression, as also collapse of social order and moral conventions, emphasized by its extreme content and graphic visuals. 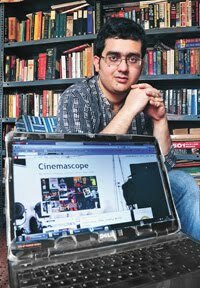 Hence, though not a political film per se in terms of its content, it certainly was one if the director’s intent is to be taken into consideration. Set almost completely on the roof of an apartment building, it starts off with a young girl (Mimi Kozakura) being forcibly violated by a gang of punks, silently observed by a seemingly meek and docile young John Lennon-lookalike (Michio Akiyama). The two lonely, suicidal and self-destructive outsiders, over the course of the next day, forge a strange bond. She hates her life and he hates the world; she begs him to kill her, while he, in a shocking turn of events, goes on a killing spree. Hyper-violent, unabashedly lurid, self-consciously avant-garde, and with shoddy production values and deliberate surrealistic splashes, as in the sudden moments in colour in an other-wise B/W film, this sure isn’t a film that can be recommended outside a select circle. Interestingly, despite its overt thematic concerns, its melancholic underpinnings were decidedly palpable, more so thanks to the excellent soundtrack. Most agree that Imamura truly established himself with Pigs & Battleships; but if Endless Desire, the third feature of his debut year and ostensibly just another studio quickie, is anything to go by, he was already on his way towards greatness. This pitch black comedy and post-noir provided a fascinating display of his thematic and stylistic traits – the ability to provide a darkly humorous peek into the seedy underbelly of post-War Japanese society. On the tenth anniversary of Japan’s surrender, a bumbling and hen-pecked middle-aged man (Taiji Tonoyama), a slimy teacher with the most ludicrous laugh imaginable (Shoichi Ozawa), a psychotic criminal, and a deceptively normal fourth man, along with a scheming femme fatale (Misako Watanabe), meet in order to lay their hands on a cache of Morphine. The mutually distrustful comrades hire a dilapidated house using faked identities in the locality, and start digging a hole at nights in order to get hold of the unlikely treasure. Their best laid plans, however, start going astray with the presence of a dim-witted guy (Hiroyuki Nagato) hopelessly in love with a pretty neighborhood girl, a leery and grotesque older man who keeps barging in, the government’s plans to demolish the slum, and of course, each member trying to outguess and back-stab the others. It’s obvious from the beginning that things shall end disastrously for them, and they do in the most trenchantly ironic and incredibly amusing manner. The droll and twisted world-view, the sexual undercurrents, the array of hopeless low-lives and losers, the messy and filthy interiors and locales, the brilliant performances by all, and by Ozawa, Tonoyama and Nagato in particular, and the chiaroscuro photography, made this early Imamura a savagely funny watch. 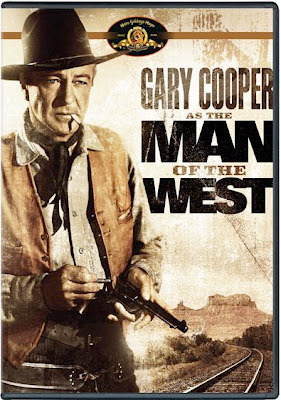 Man of the West, the last Western directed by Anthony Mann, is also considered by many as his finest work in the genre – the praise heaped upon it by Godard when it released is particularly relevant in this context. Interestingly, during its initial stages it appeared uncharacteristically light-hearted, mellow and even slightly amusing; but Mann ensured a brilliant tonal shift as the narrative progressed, thus placing this at par with his edgiest, grittiest and most disturbing earlier forays in collaboration with Jimmy Stewart. The film begins with the seemingly placid and socially inept Link Jones (Gary Cooper) boarding a train to Fort Worth, and making the company of voluptuous saloon singer Billie (Julie London). When the train is stopped by a group of dacoits and his luggage, containing all his savings, is stolen, not only the direction of their journey changes, the film too transitions into darker and more violent zones. Jones, as it turns out, is a reformed outlaw, as he is placed face to face with his former mentor, the gleefully twisted Dock Tobin (Lee J. Cobb), and his psychotic gang members. With the past that he has been trying to escape from in futility suddenly crashing down in front of him out of nowhere, Jones is placed in a deeply troubling fix that he just can’t shoot his way out of. The attempted disrobing of Billie by the lecherous gang members, a gut-wrenching bare-knuckles fight, and the ironic showdown at a ghost town, were some of the most memorable sequences in Mann’s exploration of the uncompromising realities of the frontier and the inescapability of one’s past. Cooper did a good job as the protagonist, while Cobb was excellent as the unpredictable patriarch. Rarely does an artist display the kind of audacity that Nagisa Oshima did with Death by Hanging by making a satire as tar black as this on a subject as grim and disconsolate as capital punishment, and that too with such bravado. The film was about a Korean guy given the death sentence for having raped and murdered a young woman. But that’s just the short of it as Oshima used the premise to concoct a pungent, absurdist, subversive, politically charged and formally daring masterpiece. It opens in the form of a pseudo-documentary with a deadpan narrator explaining, in detail, the death chamber and the process of execution. Things, however, take a dramatic turn when the aforementioned guy (Do-yun Yu), known simply as R, inexplicably survives the hanging, and after being eventually resuscitated, turns out to have been struck with amnesia – leading to a state of complete chaos in the death chamber. 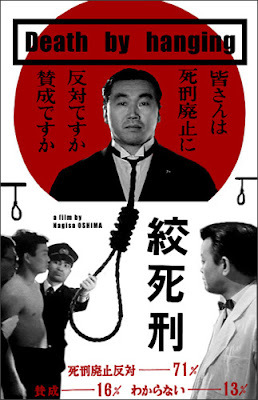 With the law preventing executing him a second time, that too when he is unaware of his crimes, the hapless and desperate prison guards, the prison doctor, and the preacher, led by an over-zealous education officer (Fumio Watanabe), go about recreating events from his life that led him towards committing the crime, with each playing various characters from his ill-fated life. Through the stylistically daring, trenchant, farcical, ironic, and at times tad rambling mode, Oshima superbly portrayed R’s bleak and tragic life, the collective guilt sub-consciously plaguing the various officials working in the death row, the sulphurous face of rabid nationalism, and how no crime can really ever be divorced from politics by simply classifying the convict as a social deviant.